The railing less Cathedral and the less than green Green! For generations the Cathedral Church of St Peter and the surrounding area has been drawn, sketched and painted; then, with the invention of the Kodak in 1888 and the introduction of Postcards in the 1890s, views and vistas of the cathedral and the surrounds have been recorded from almost every conceivable angle and vantage point making the Cathedral the most photographed building (both inside and out) in the whole of Exeter. 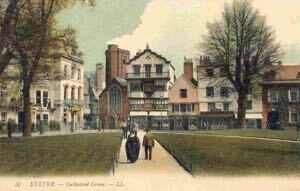 The introduction of colour film put the early hand tinted postcards onto the back burner and it is perhaps only in the last twenty or thirty years that the popularity of the postcard waned somewhat. 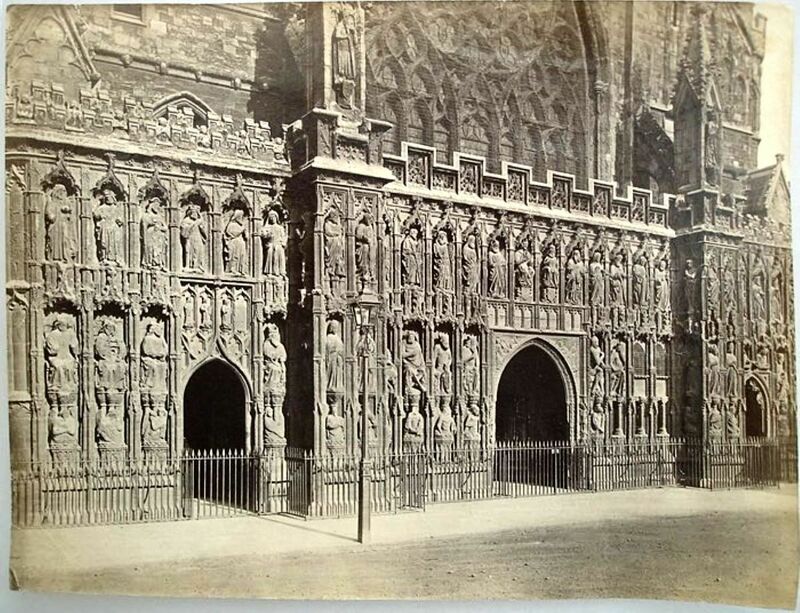 Surprisingly between two popular online Auction Sites there are, at any one time, many hundreds of postcards of the Cathedral area up for purchase, many of them are collectors items dating back to about 1905, some even earlier, others take you into the 1970s and beyond. 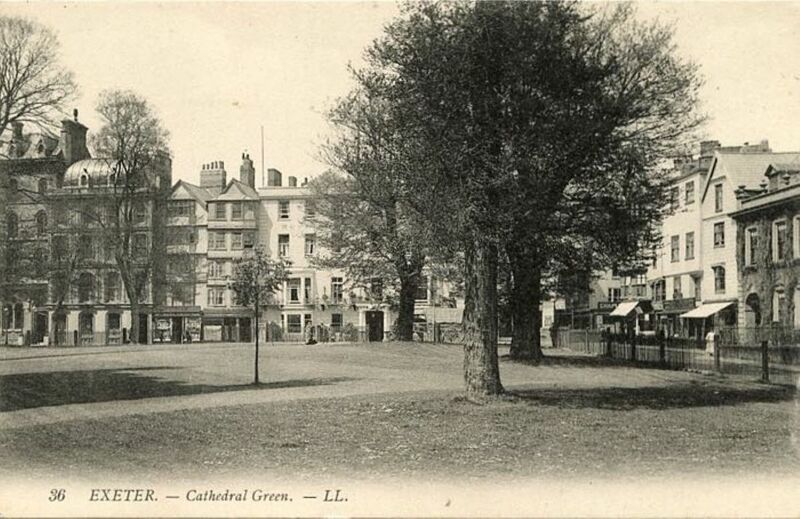 What is perhaps not so often noticed is how the area surrounding the Cathedral and the Green has gradually declined in visual appeal over the decades and whilst this is my personal view it is a view shared by many, both resident and regular visitor alike. The peacefulness and calm dignity has given way to brash commercialism with all the noise and litter that goes with it. 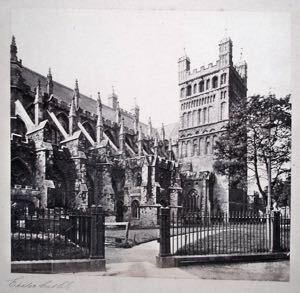 Perhaps the first step in that direction was the removal of the iron railings, gates and dignified lamp standards, quite when this occurred I am uncertain but it is a distinct possibility that much can be put down to Beaverbrooks ‘Drive for Scrap’ introduced in the early 1940s and although the Cathedral itself, which suffered badly in the bombing of Exeter, is now in fine fettle (for a small fee I believe the public are still allowed inside!) the railings were never replaced and access to the green is unlimited. 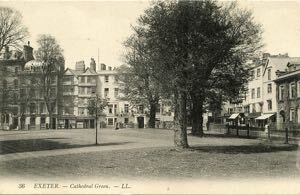 Nowadays the leafy greenery and the respectful defference to Church Property has all but disappeared and as a Picnic Area it survives. It has to be said that the Dean & Chapter of Exeter’s Cathedral have applied resources to tackle this well used public space which has suffered from heavy use and a period of neglect in recent years. Phase One was completed in May 2011. Readers of this page may be forgiven for asking “And where does Garton & King fit in to this Chapter?” Well, the simple fact is that the Company supplied and erected the railings and gates in mid 1862 and probably made and supplied the lamp standards that appear in the four images to the right from the top. Documents relating to this are in the Company’s archives. 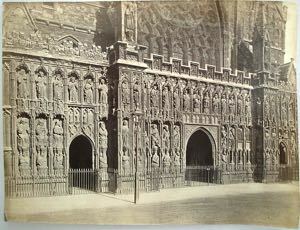 The Company’s involvement with the Cathedral does not stop there. 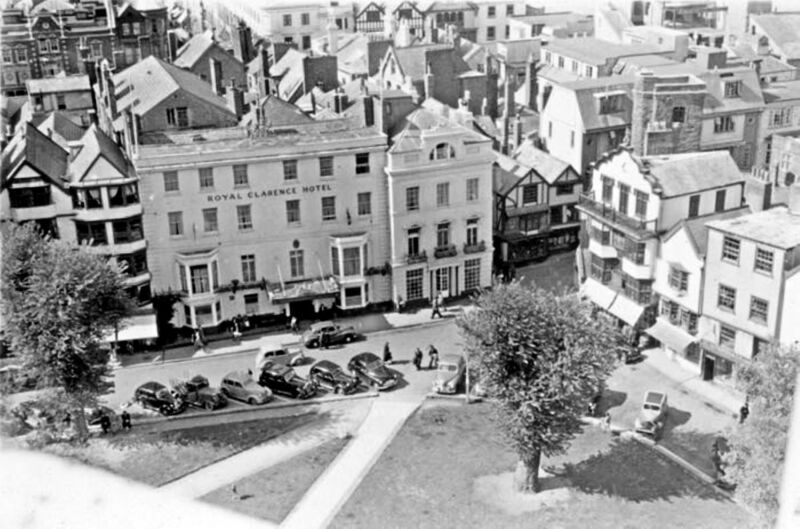 In the 1860s the Company were appointed agents for the London Warming and Ventilating Company who manufactured and supplied the Patent Combined Water Pan and Stove of Sir Goldsworthy Gurney – one time resident of Bude in North Cornwall and in whose Town Museum resides a fine example of this cast Iron heat radiating monster, popularly referred to as the Gurney Stove. 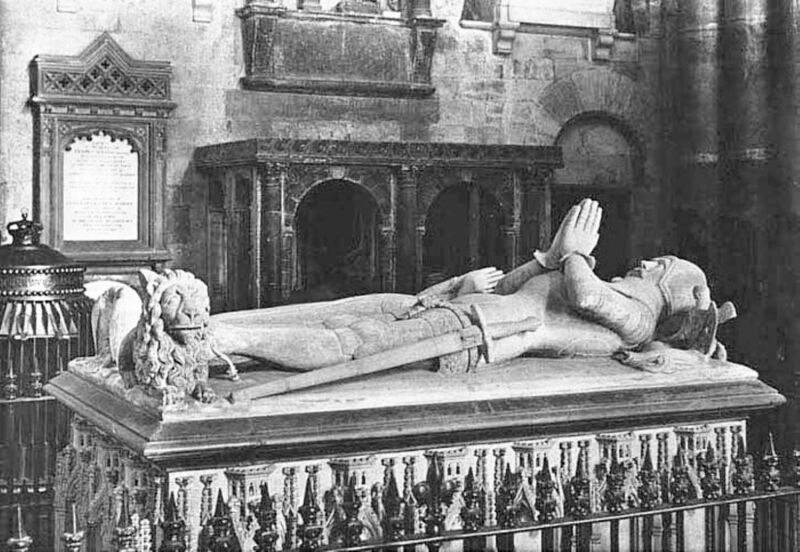 In addition to the heating of the Cathedral the company had, in Victorian times, installed railings around the tomb of the Earl of Devon which is located inside the Cathedral. 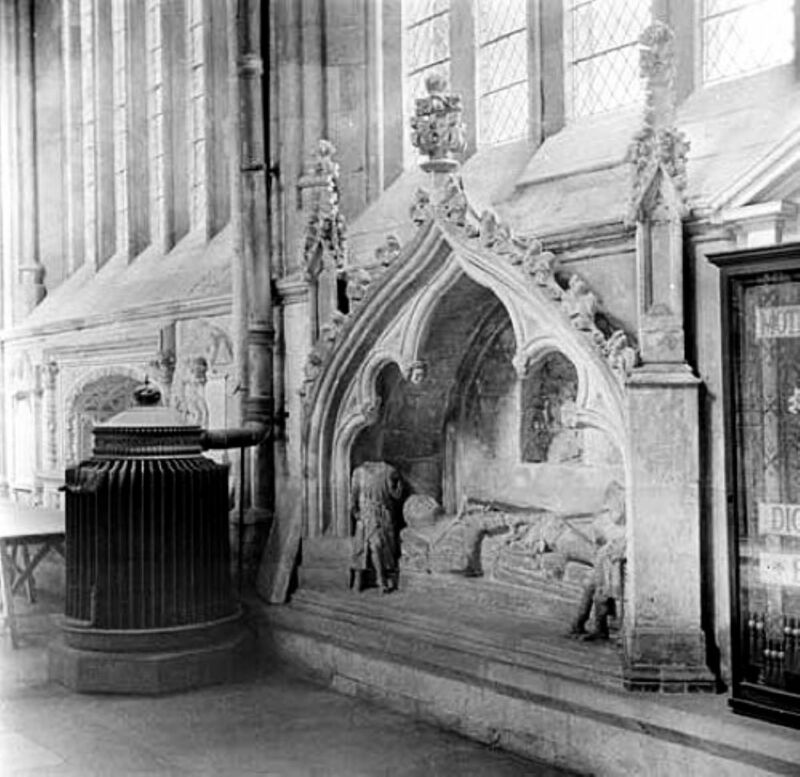 A glimpse of one of the Gurney Stoves can also be seen in this image of the tomb to the left. No doubt keeping the Earl’s stone feet warm even if, in life, the real flesh and blood ones occasionally got cold! 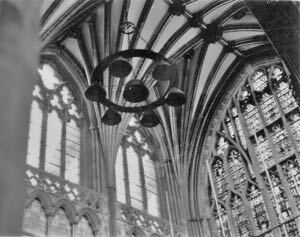 After WW2 Garton & King won the Contract for the rewiring of the Cathedral and these two images appear in the archives – those in the know will no doubt be able to immediately identify what is the subject of the first photograph – I believe it relates to the lighting chandeliers and possibly is the mechanism that can lower them to a manageable height – after all, how can you change a light bulb if you can’t reach it ? 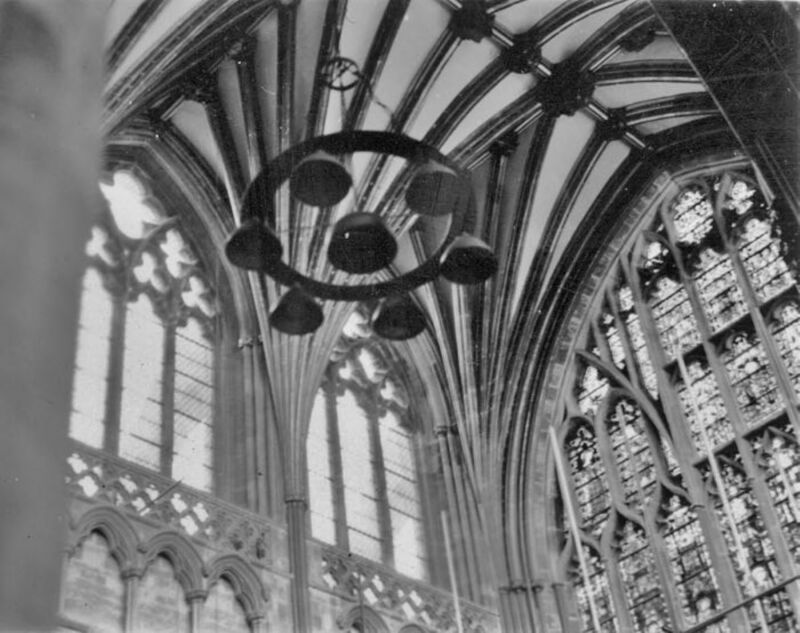 The next image shows one of the lighting chandeliers – they may well have been removed or changed by now, 2015, but this is what was installed in the immediate post war years. 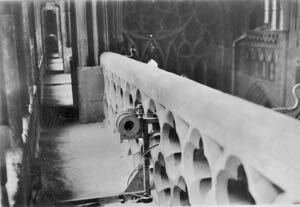 The company were also involved in the load speaker system of that era and Mr H. Cavill, the smith at the foundry at that time, made the brackets for both the lights and the loudspeakers. 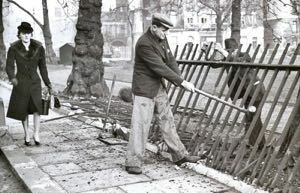 He also made the railings for 3 Pennsylvania Crescent, where they remain to this day. In addition to this work in the Cathedral the company, in the 1860s, had been inviolved in the installation of heating and radiators in the Deanery and much later, probably about the late 1950s, with the provision of heating and “Copperad” radiators in the Chapter House. The last image was taken by Henry Holladay from the North Tower looking towards The Royal Clarence Hotel in 1945 /6. 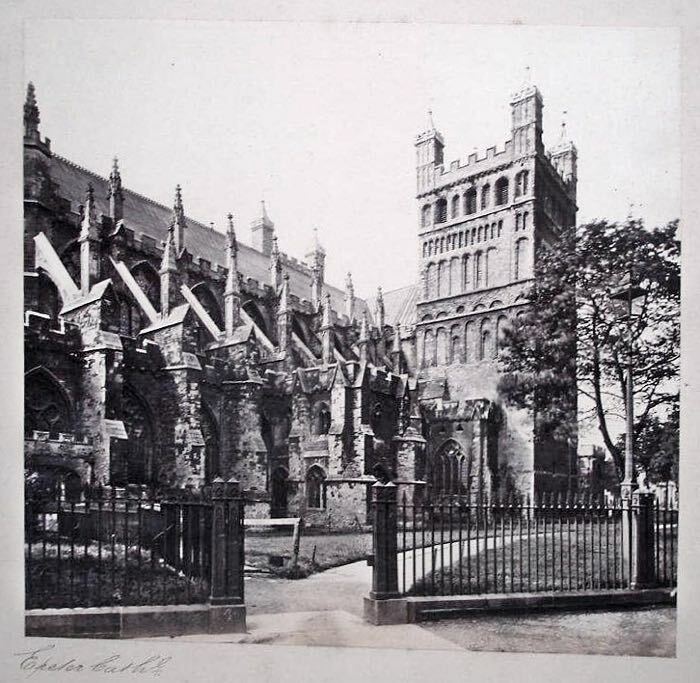 Over the last 155 years Garton & King have undertaken works, not only to the Cathedral Green but also within the Cathedral itself. With the passing of time much has altered and little remains nowadays in the form of evidence of those works other than in image format. Thankfully there is still a great resource in Postcards and they abound on Auction Sites and in Antique Centres and they span from about the 1890s right through to the present day. An early tinted card from abot 1903- 5 could set you back a fiver, a scarce one from the 1950s a couple of quid, so all you Deltiologists out there, start collecting! Well, that's about it for this Chapter - once again any comments or criticisms or contributions (photos, memorabilia and the like) are always welcome - I am always on the lookout for early AGA Advertising Material, or Cookbooks - particularly pre - war and wartime.